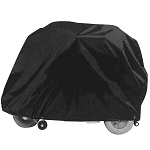 The Wheelchair and Scooter Cover is super durable and weather resistant. Accessory for SC400/SC500 when installed swings the carrier away from the vehicle for additional protection. 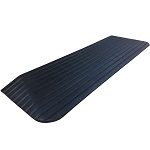 This mobility carrier is perfect for transporting your wheelchair, scooter, lawn equipment and cargo. 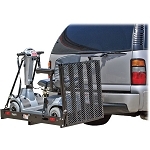 Heavy duty mobility carrier is great for transporting electric chairs, wheel chairs, scooters and more. 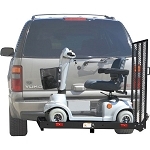 The UC500-XL is a heavy duty extra large mobility carrier which can be used for hauling generators, power chairs, cargo, equipment, scooters and more.